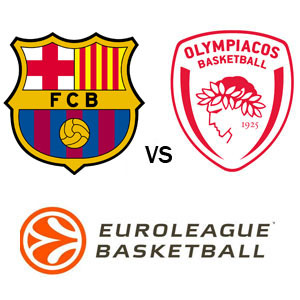 Barcelona basketball will host Olympiacos Piraeus during the seventeenth round of action in the Euroleague taking place this week. Head coach Georgios Bartzokas will try to earn a victory against his former team and get Barcelona closer to the playoffs. The problem for Barcelona this season has been the games on the road as it has lost six straight games when playing away from home. In the previous week of Euroleague action the Catalans lost 85-65 at Brose Bamberg. At home Barcelona is considerably better with a record of 5-2 and a three-game winning streak, which is why the team is still in playoff contention just one game behind Darussafaka Istanbul, which currently runs eighth. The last team that defeated the Catalans at “the Palau” was their Spanish archrival Real Madrid who trashed them 63-102. With a loss, the Barcelona’s playoff hopes would take a big blow. The Greeks already know how to beat the Catalans as they managed to do that back in November of last year in Piraeus by a score of 59-52. That defeat marked the start of Barcelona’s six-game losing streak on the road. Olympiacos has won six straight of its last seven games and is currently in fourth place, a position that would give Piraues home field advantage in, at least, the first round of the playoffs. The Greek team usually overwhelms its opponents with an intense physical game that gets opponents off balance. This happened to Barcelona last time it faced Olympiacos as its players were forced to make mistakes and shoot the ball poorly (35.1 percent from the floor and 26.7 percent on shots from beyond the arc). The Catalans not only have to improve their shooting, but also match the intensity and physicality of the Greeks and not hesitate when vying for position in the paint. If Piraeus intimidates Barcelona and once again wins the battle inside their chances of winning are doomed, but if they constantly win the rebound battle and hit a good amount of shots from inside the paint then their raucous fans could help them get an important victory. In its last home game Barcelona edged Darussafaka Istanbul 81-77, but the club is 2-5 in the last seven games and 3-8 in the last 11. That was after a promising start that saw Barcelona winning four of its first six Euroleague games.